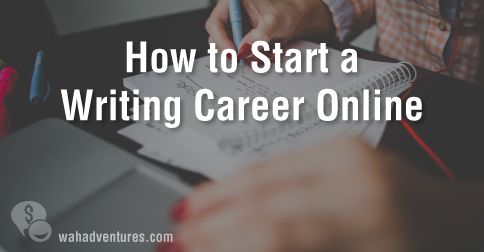 If you are planning to begin a career in online freelance writing, you first have to learn about the industry and then determine the steps needed to make your way into this line of work. A lot of freelance writers actually start out looking for a way to earn extra income by using their skills in writing. Because of the popularity of the Internet and the sudden proliferation of Internet marketing, a great need for freelance writers has emerged. Today there are plenty of companies, individuals and websites offering regular work for online freelance writers. One great thing about becoming an online freelance writer is the fact that you can choose the topics you would like to write about. For instance, on websites like iWriter.com, you can browse through available assignments and pick those you wish to work on. Also, websites like Odesk.com and Guru.com offer the opportunity to bid only on projects that are of interest to you which can include assignments for blog posts, articles, stories, e-books, sales copy and much more. Many online writers may wish to create their own blog which guarantees they are writing to topics that are of interest. If it is well-written and interesting, a blog can eventually earn money as well. Many writing sites require registration in order to bid on or claim projects. You can begin with Helium, iWriter, eHow and Associated Content. Most of these sites pay per article, depending on the number of words needed. Writing forums and blogs are another valuable source for freelance writing opportunities. While you are building your track record as a freelance writer, you may have to be content with lower income. As you develop and become more experienced, you can increase your fees. To enhance your chances for work in freelance writing, prepare a resume that highlights your related skills and experience along with a portfolio of your best writing samples. Remember, freelance writing is a business. Therefore, it is important to continually promote and advertise your services. Create your own website and make use of social networking sites like Facebook and Twitter to plug your business for free! Don’t forget to include a personal profile highlighting your credentials and a few examples of your work. Also, be sure to post links to your pieces that have been published on the Web. Online freelance writing can be a challenging career but very rewarding once you have built a regular client base. This work provides the opportunity to write about interesting topics, work in pajamas if you want and the luxury of setting your own hours. Read any of these posts for ideas of places you can get started with your freelance writing career. Hey .. i’m a very good and fast writer who is looking for a writing job online . just give me the what you want to be written and i will write it for you as fast as i possible . even it’s a 1000 page book! Any one can help me with that ? or can you give me a site that is good for what i asked ?